We’re excited to have new trends to welcome this 2018! Good to think about: Complete vs partial staging. Full cleaning and decluttering are the most important. Thanks to these useful tips! 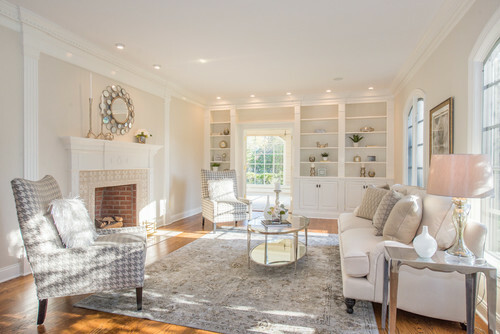 Stagers can better prepare a home for open houses. Love the 2018 trends! Especially ‘gold’, when done correctly!! Neutral is most appealing with some splash of colors! Thanks for the forecast on counter-tops. I knew quartz was the brightest star but thought granite was dead. The prepping is most important where the seller decides to take or toss! We work with a number of professional stagers and the transformations they do are incredible. Well worth the investment. This is good news for us: “A lot of people are replacing carpeting with wood and faux wood flooring–at least on the main floor”. Preparing the sellers before the staging process affects the success of the upscaling and sales. Remembering, you are staging your home for potential buyers, so they can visualize themselves living there is key. 2018 better be ready now that we’ve got a hold of these information. Fresh and trendy paint color will definitely help to attract potential buyers. Fantastic blog, by the way, this is really helpful. Great tips, love the trends! Happy with the results in sales, and the price!